NMIFC had an exciting schedule of presentations outlined for the 2016 year’s conference. Tom Battin has been a resident of Lincoln County since 1991 and a Ruidoso visitor since the age of 6. Tom was elected to the Lincoln County Board of Commissioners for two consecutive terms, where he also served as Chairman during his tenure. Tom is active in many humanitarian pursuits and his life has been given in service to the communities in which he has lived. He served as President of Ruidoso State Bank, he has headed up development efforts for the Spencer Theater, and he has been a major factor in the development of the Lincoln County Medical Center, where he served on the Board of Directors. In addition, he is an active member of the Church of the Nazarene and is a former Offi cer in the U.S. Navy. Tom has been married to his wife Juanice, a strong supporter of his civic involvement, for 59 years. Tom was elected Mayor of the Village of Ruidoso on March 4, 2014. The primary focus of Mayor Battin’s Administration has been to maximize potential water resources for Ruidoso and the surrounding communities. 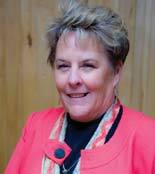 Since June 2009, Debi Lee has served as the Village Manager for the Village of Ruidoso. Prior to this position, she managed the communities of Aztec, Hobbs, and Portales. She has a total of 30 years of experience in municipal government and received the designation of a Credential City Manager from the International City Management Association (ICMA). She was recognized as the fi rst woman ICMA Credentialed City Manager in New Mexico in 2002. As City Manager, she has assembled a quality team that accomplished “High Performance City” ranking in the top 10 nationwide. She has also received Best Practice Awards for Community Development and recognition for planning, acquiring funds, and the building of the Aztec Family Center leading to a featured article in the women’s edition of New Mexico Magazine. Leadership and community service is the focus for accomplishing great things in our New Mexico communities. Bob Hudson is a native of Kansas City, Missouri. He served as a pilot in the U.S. Air Force and was assigned to Kincheloe AFB, where he served until being shot down over North Vietnam during Operation Linebacker II. After spending 93 days in captivity, Lt. Hudson was released during Operation Homecoming. He was briefl y hospitalized and then continued to serve in multiple roles to include twice as a Base Commander. 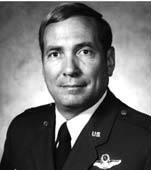 Hudson served his country tirelessly and retired as a Colonel on July 31, 1998. Bob’s awards and decorations include two Legions of Merit, a Distinguished Flying Cross with “V” device for Valor, a Bronze Star Medal with “V” device for Valor, two Purple Hearts and the Prisoner of War Medal. Now retired, Bob manages the Moriarty Municipal Airport and was recently named the New Mexico Airport Manager of the Year. Bob and his wife Linda, have two children and four grandchildren.